NY may have Union Square Farmer’s Market and LA may have the pseudo-farmer’s market in the Fairfax district, but Houston has Canino’s. Fall is a great time to head over to Canino’s market on Airline Drive just inside the North Loop. Although a bit the worse for wear after hurricane Ike, Canino’s is still going strong. Combining a dizzying assortment of produce, spices, herbs and even eggs with a rich Mexican-American atmosphere, Canino’s is certainly one of the best places for a foodie to spend a crisp fall Saturday morning. I love this place. Even our foodie friends over at the Houston Press have been transformed into weedeaters after an enlightening visit to Canino’s. Below are a few pics I took on a recent Saturday morning. Enjoy. 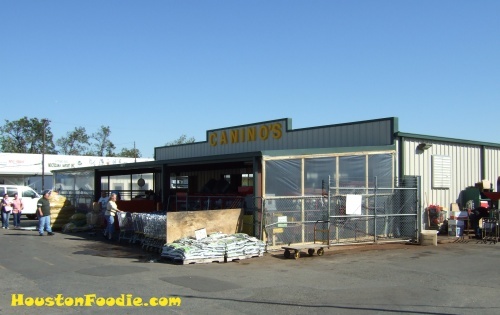 Canino’s is currently set up in the smaller “barn” next door to the larger one it is normally in. 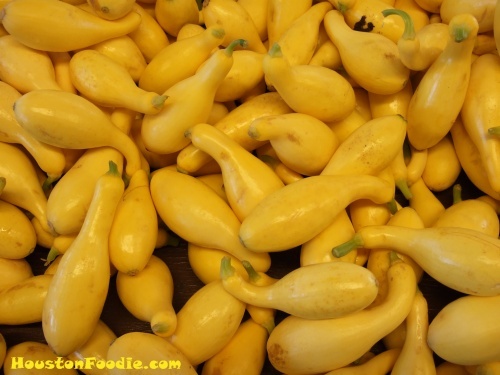 Inside, bins are filled to the brim with fall produce. 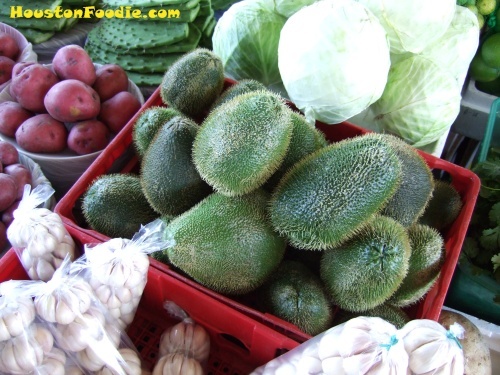 This is a Chayote Squash, prickly variety. 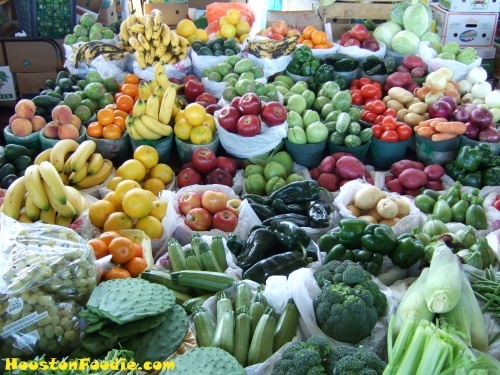 This entry was posted in Blog Only, Food and tagged airline drive, canino's, hurricane ike, produce market. Bookmark the permalink. Thanks for the update. 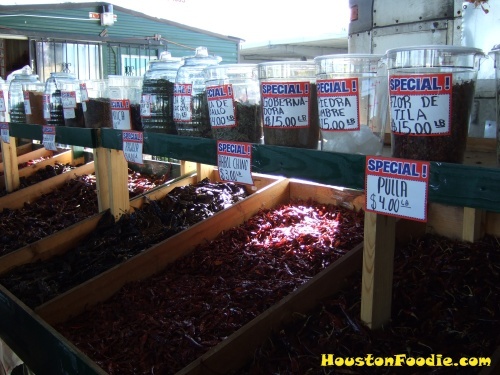 I need to go there with you, since I don’t know half of what is in the mexican section, and also have no idea how to cook it, or what to do with it! It’s a fun way to spend a Sat. morning. Are the Taco trucks still out back? I have been, but have also been perplexed by some of the more “exotic” offerings. Want to put together a Saturday morning group to visit? Yes, the Taco Trucks are still in the back and going strong. A group get-together is a great idea. Feel free to post to the email list or let me know if I should lead the effort.